Kristin Key grew up a Texas minister's daughter and seemed like any other small-town girl, until she opened her quick witted mouth displaying her undeniable sense of humor. At 19, she began Stand Up comedy and in just a few years was in the final six on NBC's Last Comic Standing. Kristin has since appeared on Comics Unleashed, VH- 1's 100 Greatest Series, and is a frequent guest on the Bob and Tom Show. She is a seasoned actor, musician, writer and comic and her writing has been featured in Life & Style Magazine's Style Slip-up section. 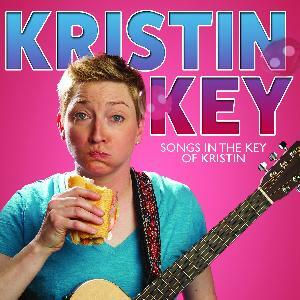 Key has recorded three comedy CDs for Uproar Entertainment that are favorites on Sirius XM and Pandora and is a national headliner at colleges, clubs and for corporate events.